It is believed that today’s estate, like a great part of the area known as Historic Priorat was controlled by the Carthusian Monastery of Scala Dei. This situation could have lasted over six or seven centuries until the Anti-clerical Laws passed by Mendizábel in 1835. These laws ended the long monastic dominance in the area. After a period of which we have no historical data, we know that towards the middle of the 19th century, Francesc Gil i Borràs (1828-1885) acquired the property, which would have had 120 hectares (296 acres) under vine. He registered the estate in municipal documents under his family name: Mas d’en Gil (The Gil Family Farmhouse). A businessman, journalist, farmer and a man of intense public life , Francesc Gil was a very popular person in his native city of Reus. He held an important role in the Institut Agrícola Català Sant Isidre (Catalan Agricultural Institute of Saint Isidre) and promoted the planting of vineyards in the Camp de Tarragona area as well as in the Priorat. His agricultural and viticultural activities were intense. He was a pioneer in bottling Priorat wine and achieved accolades in numerous international fairs. He was also responsable for the creation of one of the first Catalan sparkling Wines, the “Champagne de Reus” which was very highly regarded in the last few years of the 19th century. When he died without offspring , the estate passed to a family member, married to the businessman and polititian, Albert Rusiñol, brother of the artist, Santiago Rusiñol. Santiago Rusiñol was one of the leaders of Catalan Modernisme (Art Nouveau) and would have visited Mas d’en Gil on some occasions. 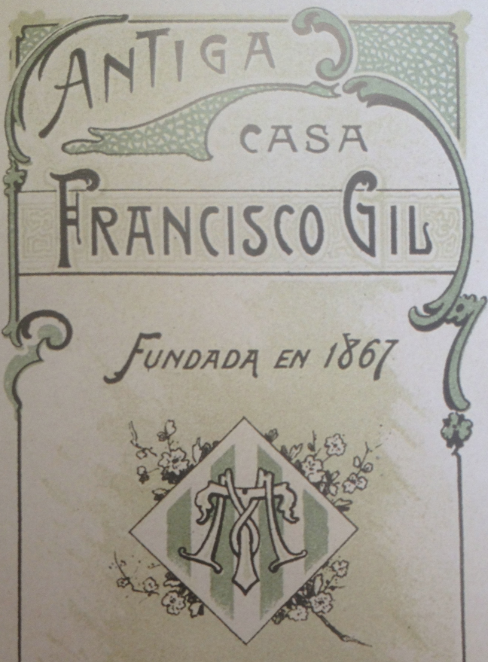 This stage, which covers more than 40 years until 1931, is known as the one with the Rusiñol-Gil family and which enabled the continuation of the farming activities on the estate.